Our mental health sessions aim to create awareness of mental health issues affecting young people, advocate positive mental health and support students to identify aspects of their life that they can see their GP about. 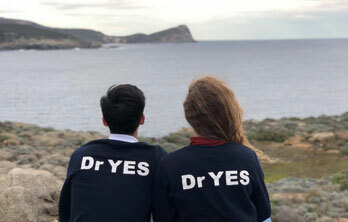 At the end of 2017, Dr YES had its mental health sessions revamped to meet the ever-changing needs of high school students. These changes included a shift from a technical explanation of numerous mental health topics to a more holistic snapshot of what it means to be mentally healthy. Furthermore, this reshuffle of the content allows our sessions to focus on addressing suicide and self-harm – topics which students have been requesting more information and support of recent times.